All technical data on the website is edited according experiment of occasion or library and report of our customer, it is impossible to include all possibility working condition , so we don’t assure the accommodated seal and working condition can completely satisfy the practice working condition. So, for special working condition and occasion, please contact our technical department to research specially. All pressure,temperature, speed and PH value display in this website is the max value of experiment, please pay attention to that because of manual restrict of each working parameter, the max value should be a little lower. 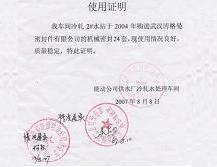 Recently there are many past agent we Burgmann company product units and individuals, in Zhejiang, Jiangsu, Shanghai and Jiangxi Nanchang area, modeled on the company website format and content, making false website publicity, and even fake my company name, product type, stealing our quotation and contract document format, on the network to sell counterfeit counterfeit, causing a serious impact to our company brand image, please pay attention to distinguish each user. 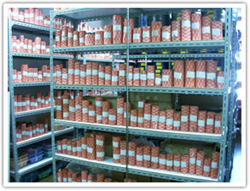 If you have any questions, please contact Burgmann seal headquarters,Tel: +86-027-84838841.